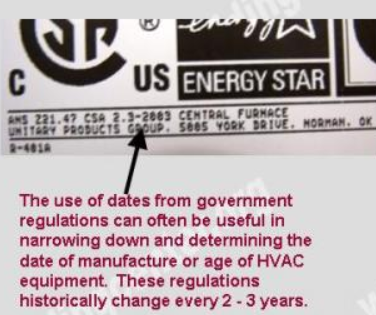 How to determine the date of production/manufacture or age of American Furnace® HVAC Systems. The date of production/manufacture or age of American Furnace® HVAC equipment can be determined from the serial number located on the data plate. 1968 – American Furnace Company became part of Climate Control a division within Singer Co.
1970 – Brand name American Furnace dropped and renamed to Singer American Furnace. 1982 – Singer American Furnace renamed to Climate Control. Company Dissolved. Brand Name discontinued.